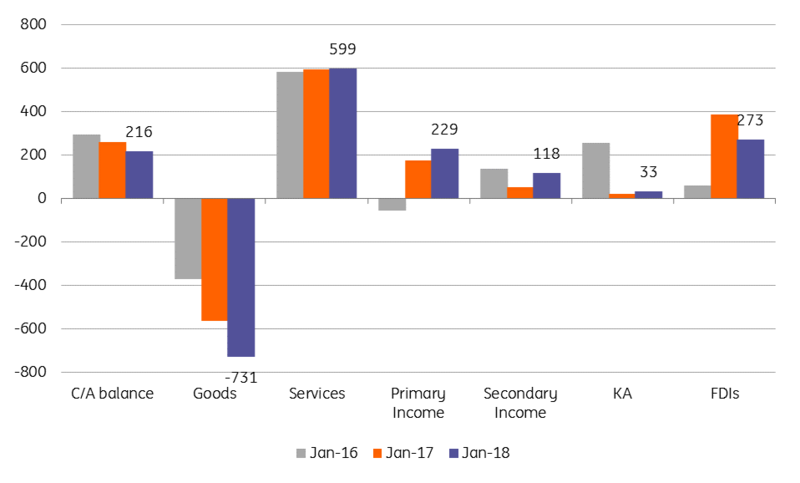 Despite the good external demand, strong private consumption is leading to sizable imports and thus putting pressure on the trade gap. The total current account surplus came out at EUR216m, c.16% lower than in Jan-2017. 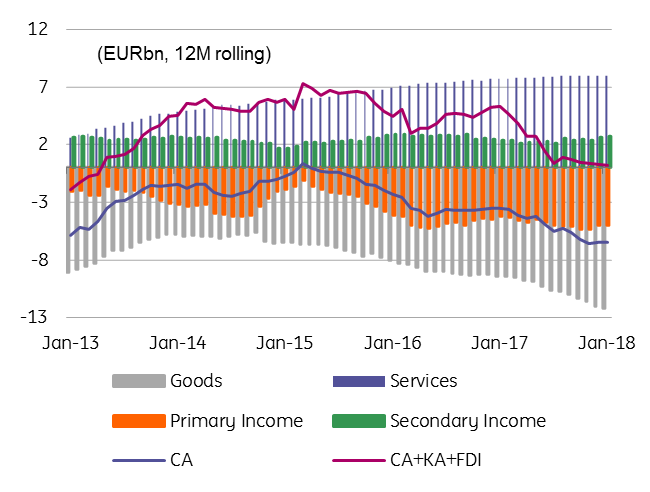 The services component remained almost flat compared to same month last year at EUR599m while the primary and secondary income accounts posted a joint surplus of EUR347m, likely on lower dividend outflows and increased EU funds absorption. Overall, we are still comfortable with our projection for C/A widening peaking-out and expect the C/A at -2.8% of GDP in 2018 as we look for a slowdown in consumption. Our forecast does not include eventual new tranches for the defense system. Hence, it could come 0.3-0.4ppt of GDP wider, but still post a modest improvement from a year ago.